No, I’m not talking about the classic 1972 LP. At this moment, there’s a great deal of speculation with regards to Ruth Bader Ginsburg, and how long it is before she tosses in the towel. Ginsburg made it fairly clear that she was going to stick it out as long as possible so that the court did not move away from the leftist claptrap that it’s been offering up for the last couple of decades. 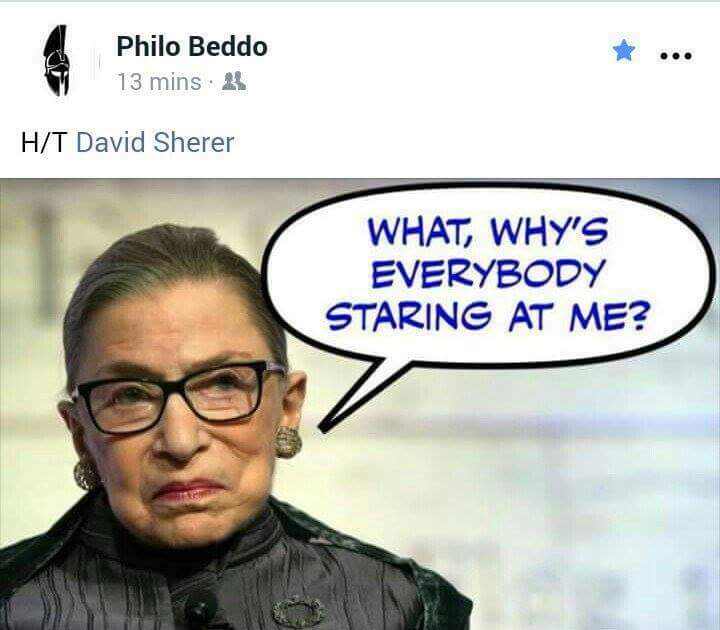 I strongly suggest that such balancing acts no longer matter and Ginsberg is going to figure this one out very shortly. As best I can see right now this is not a matter of if but when. Of course Ginsburg officially responds that she’s feeling fine at 85 without any serious issues. Personally I don’t know many 85 year olds that can make that claim. By the way… How old was Antonin Scalia when he died, with a pillow over his head in the home of a heavy Democrat supporter and contributor with no autopsy? Some of you may recall that Gimsburg took some serious criticism during the Obama Administration, from democrats for risking flipping that seat on the court to an actual conservative. 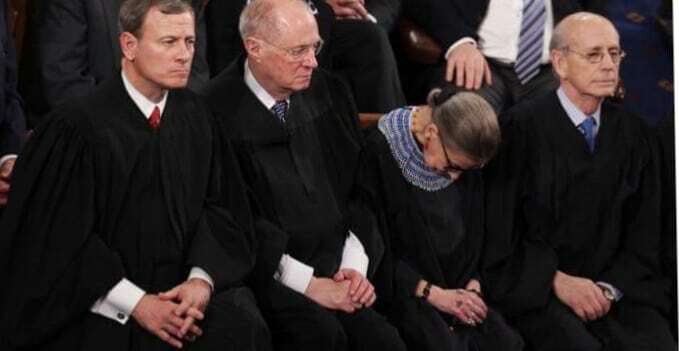 They wanted to see her retire before Obama was out of office. Well, she didn’t, and now we can be reasonably sure that she’s not going to survive the next 3 years, not wearing black robes in any event. Meanwhile, you know you’re in trouble as a party when the only thing between your rank-and-file members and regular Psychotherapy sessions is someone who can’t stay awake for an hour. By by the way, based on a release I’ve seen this morning the Trump Administration already has several people they’re looking at to replace Kennedy. I’m chewing on that list now and will be posting something this evening. She can stay on the Court until she’s 100, for all I care. If so, she’ll be writing all the dissents because she’ll be the only liberal still there. The only way RBG intends to leave the Court is feet first.